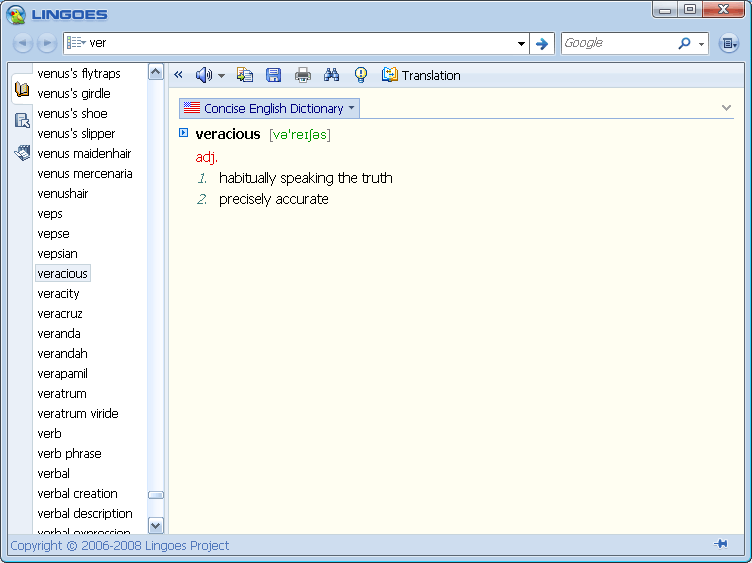 Lingoes is a dictionary and multi-language translation software providing results in over 80 languages. 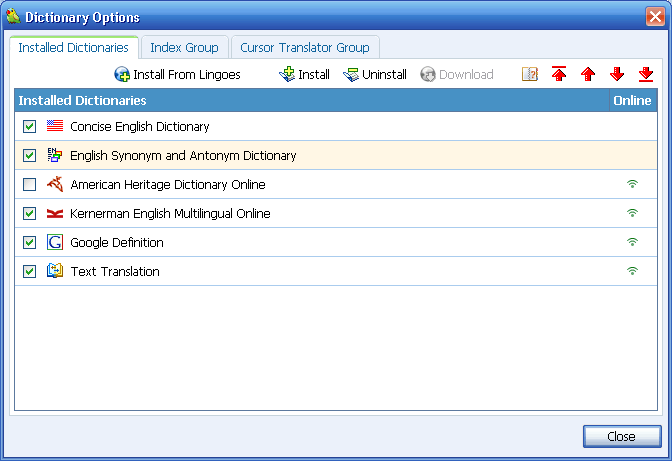 It offers full text translation, capture word on screen, translate selected text and pronouncing text, and abundant free dictionaries as a new gerenation dictionary and translation software. 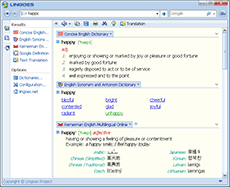 Lingoes offers users the instantest way to look up dictionaries and translation among English, French, German, Spanish, Italian, Russian, Chinese, Japanese, Korean, Swedish, Thai, Turkish, Vietnamese, Greek, Polish, Arabic, Hebrew and more over 80 languages. With the creative cursor translator, Lingoes automatically recognizes the word and its definition as soon as you move the cursor and point to any text, then press hotkey. It wouldn't disturb your current work. Lingoes is free, you can get it freely. Please read license agreement before using. 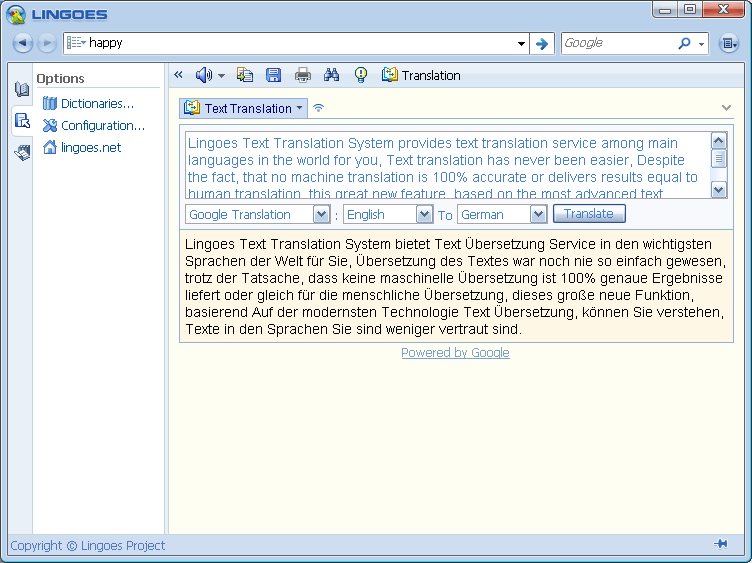 Lingoes integrates cursor translator, looking-up in dictionaries and intelligent translation by creative "translate selected text". 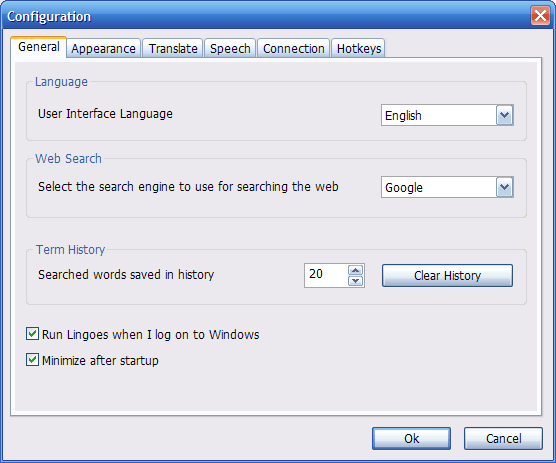 With selection of word or sentence in screen by cursor, it will translate as many as 23 languages of text into your native language. It's very convenient to use, we believe the new technology will change communication method among people. Lingoes provides the function of words and texts pronunciation based on the newest Test to Speech (TTS) engine, which can help you quickly learn the pronunciations of the words and is very convenient for study and memorizing. The open management makes you easily download and install dictionaries according to you own needs, furthermore you can freely configure their arrangements and themselves. You can find more dictionaries from here. 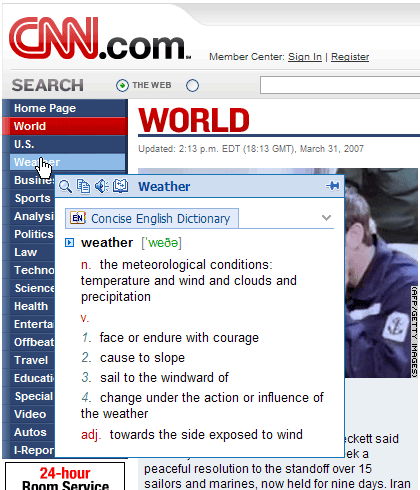 Without local dictionaries, you can make use of online dictionary service and get more results. We also offer online encyclopedia, for instance Wikipedia with 9 languages and 3,500,000 articles. 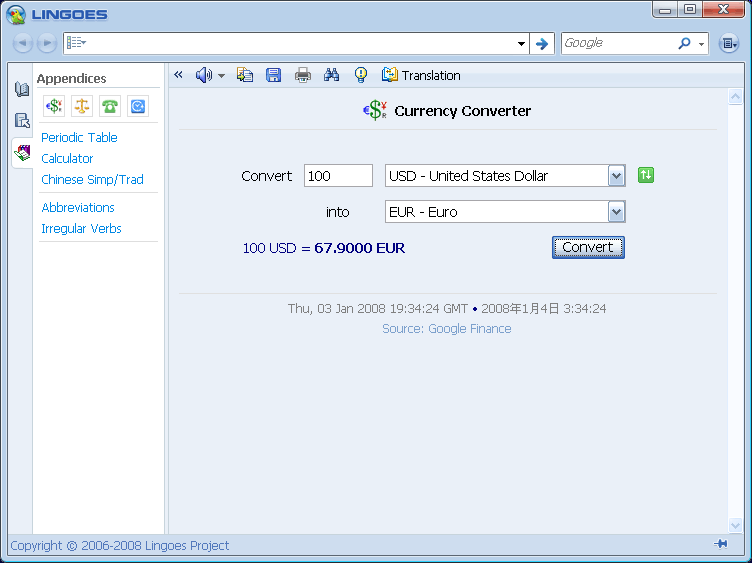 Include Currency Converter, International Dialing Codes, International Time Zone Converter, Weights & Measures Converter and more.